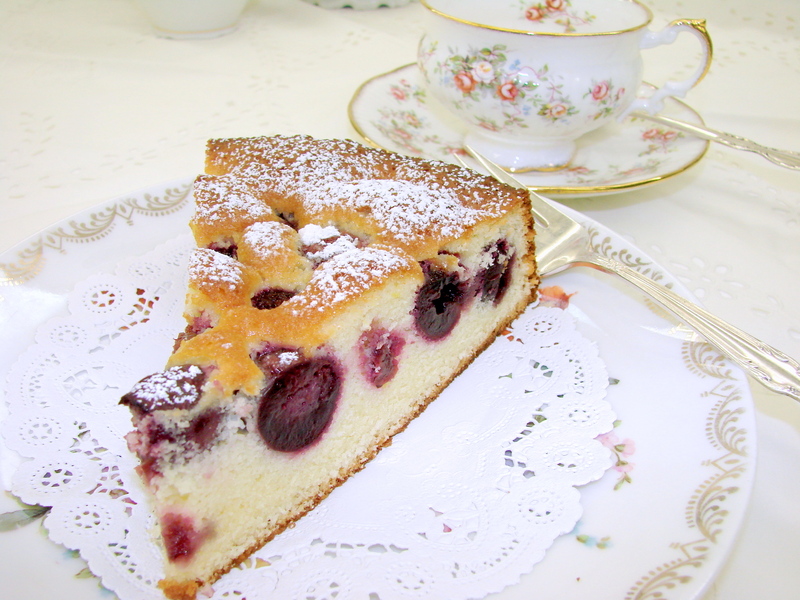 I started baking when I was about fourteen years old. 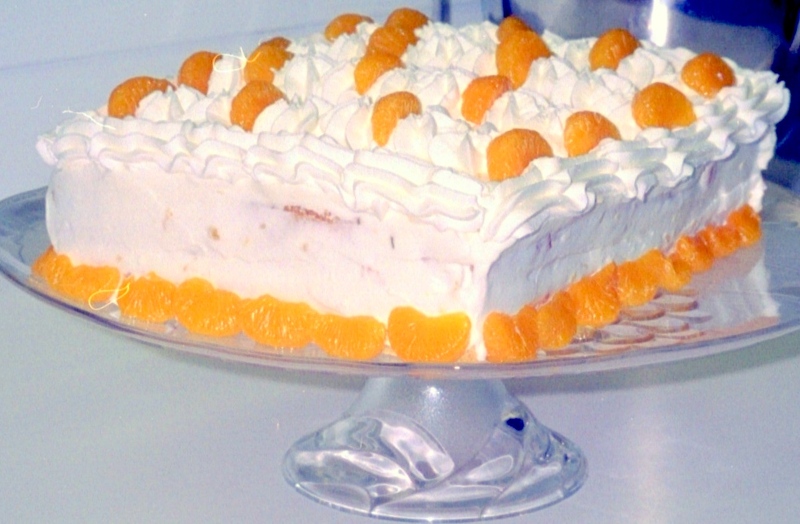 My mother was an excellent cook and baked beautiful Viennese/Austrian desserts. She did not mind cooking the meats and fish dishes as well as soups. She never used recipes, she simply cooked and baked with whatever we had in the pantry or refrigerator at the time. All the recipes she remembered from her own mother and the maids who cooked for my grandmother. My mother grew up in a hunting lodge (a beautiful home, in the middle of a Croatian forest). She was educated, in Vienna, where her special treat on Sundays was a walk from the boarding school (Internat) to Sacher’s where the girls had a cup of coffee and a slice of the Sacher Torte. It was 1928 and Vienna was the “center of the world” for her and many others…she was 16 years old. But, I digress! I learned to cook and bake from my mother after we arrived in Los Angeles, California as refugees/immigrants in the 1950s. It was a difficult beginning in a new world with a language we did not speak. My parents found jobs that were nothing like what they had done and the way they lived in Pre-World War II. When we arrived in Los Angeles we lived on Alvarado St, across from McArthur Park in a small apartment. Not exactly the best area in Los Angeles at that time. Every Saturday the four of us (my parents, my brother and I) took the bus to the downtown Central Market. I remember that my parents bought vegetables and meat at different stalls, trying to convey their messages in a broken English. But at the meat stall they spoke German with the butcher. The butcher was most kind selling us the meat at a discount. When we arrived home, each of us had carried two paper bags full of food, and after storing them properly, mother and I went to the grocer, a half a block from the apartment. He, too, was German, and extended his generosity with giving us fruit that was overly ripe which he could not sell to his other customers. As he packed up our groceries he always stuck a couple of breads that were a day or two old into our bags as well. It was nice to find friendly people among so many strangers. Mother always cooked delicious meals, mostly one-pot meals or soups, and on Sundays she baked something sweet for the 3 o’clock afternoon coffee. After a while she also baked bread every week, since we were not used to eating the soft white breads that were in the stores at that time. This is when I helped her and learned about baking. Soon I started baking pastries on my own while mother looked over my shoulder. crepes that were filled with a custard. As time went on and the jobs became better and my parents together had a better income they were able to buy butter and sugar and, layered cakes with butter creams came on the Sunday’s afternoon coffee table. That was my beginning in baking and soon I developed a passion for setting the table when we entertained and created floral arrangements for dinner parties. 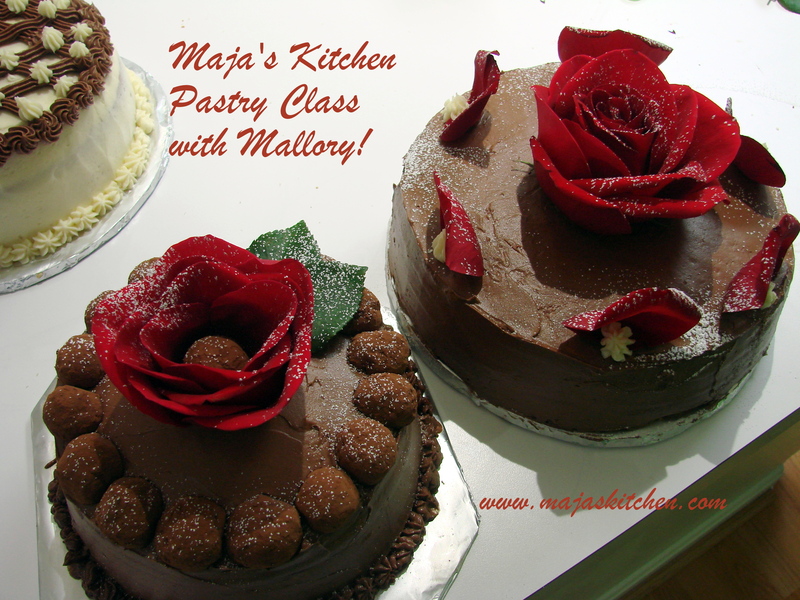 And today I can tell that I have taught cooking classes during more than twenty years, and have created pastries of all kinds that have been enjoyed by my students, family, friends and customers. 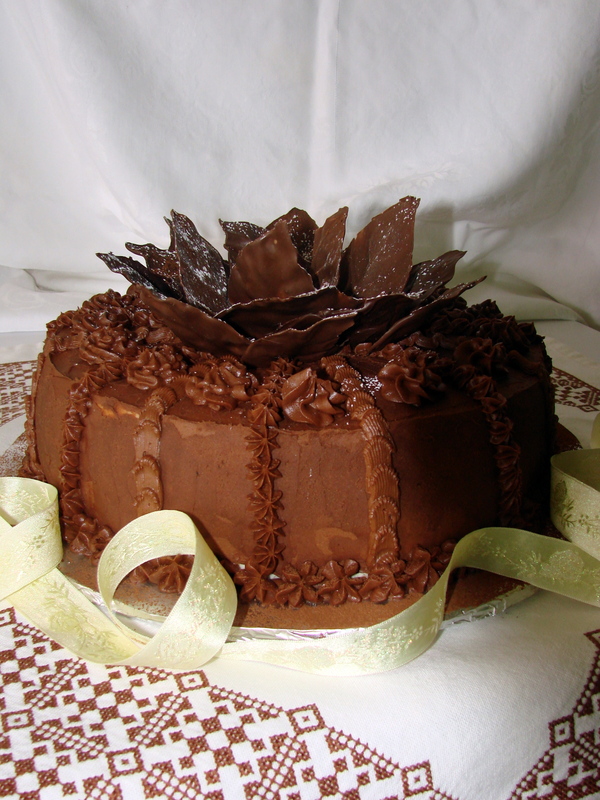 Just recently I made several Chocolate cakes for a friend’s 90th Birthday….and used the following…. 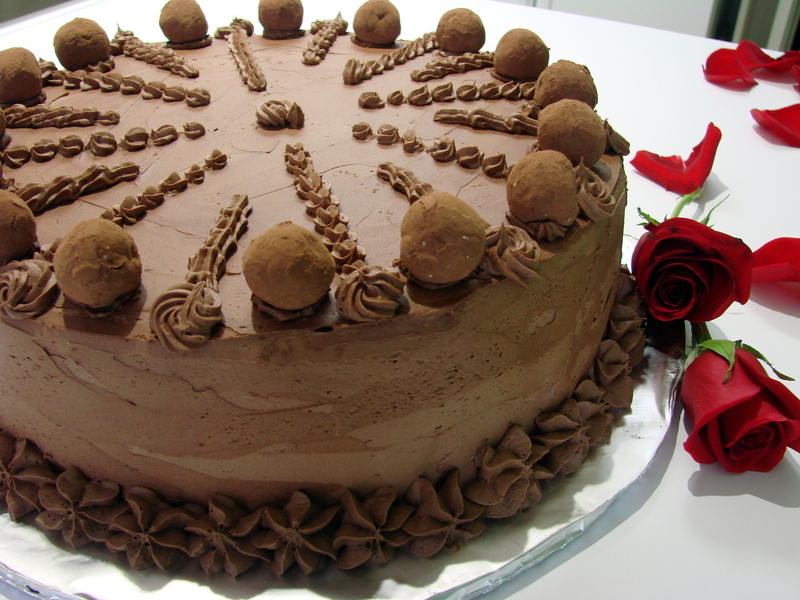 This Chocolate Butter Cream is not very easy if you are not somewhat of a baker. At the same time I do not want to discourage anyone. I too had to learn by making mistakes and doing this cream several times until it finally worked. If you read my description carefully you will not have any trouble making this cream. Go slowly and follow each step carefully. The final result will be the best cream you have ever tasted. repeat the 30 seconds intervals and check the softening of the morsels…. the edges of the melted chocolate will harden and you will have to re-melt it again. 1 to 2 Tbsp Espresso Coffee, of course cooled to room temperature. 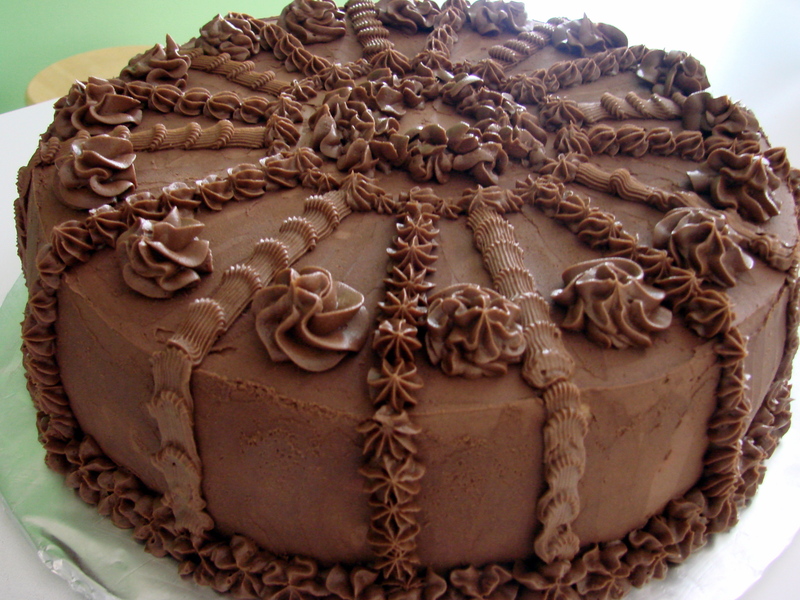 since the chocolate flavor is more intense than with a chocolate-base-cake. The Brandy and Coffee is totally optional! It was wonderful to hear from you. I may try this sometime soon. Maria, love hearing about your family and how things were when you first came here! Hi Donna….glad you found my blog site…..I have written many stories..in the past…and really have to print them all out for Charlie and his family….somehow I am so busy most of the time…that I do not get to it…Thank you for writing a comment….hugs to you…!!!!!!!!!!!! !